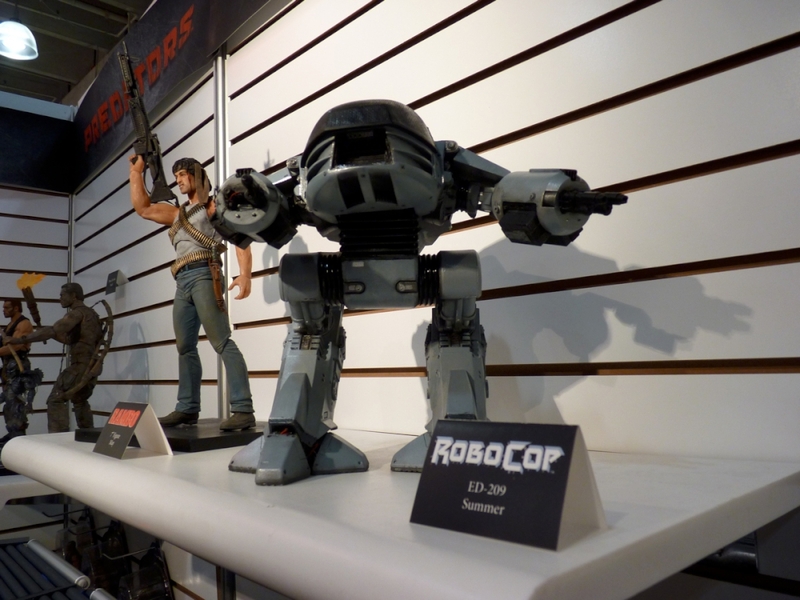 Anticipation has been high for the Robocop ED-209 Action Figure since we first unveiled it at Toy Fair earlier this year. Rightly so. Our ED-209 is terrifyingly accurate to the 1987 original, and as you can see in the pic below, just as ominous. One of the most eagerly anticipated action figures of all time has arrived! 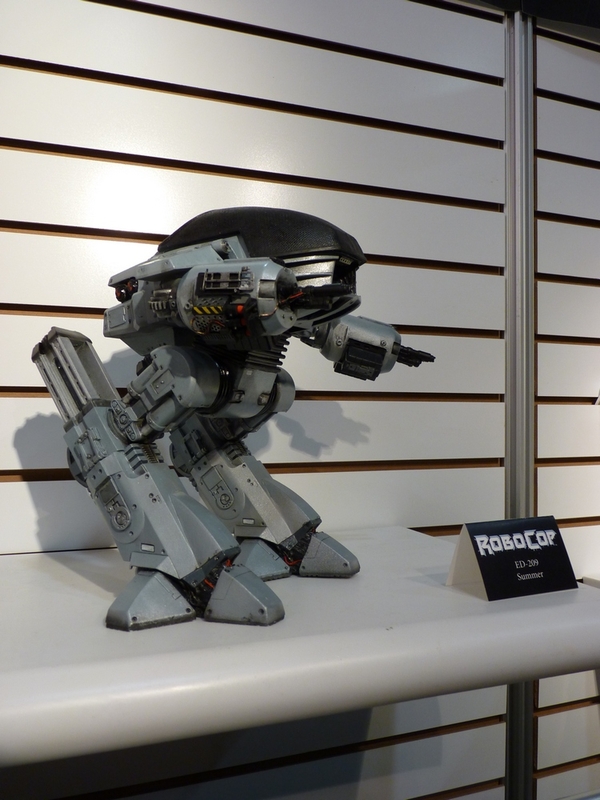 Standing nearly 10″ tall and totally in movie accurate scale with the 7″ Robocop figures (sold separately) comes the Enforcement Droid 209 Series. ED-209 is fully poseable and features incredible detail. Features include articulated head, legs that slide up and down, hinged arm wing panels, poseable cannon arms, and pop-out rocker launcher on the right arm. 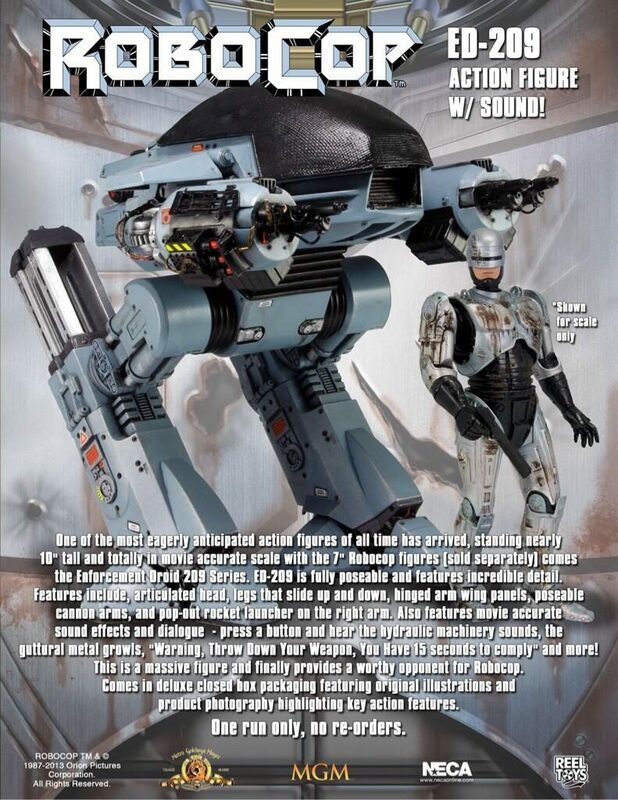 Also features movie accurate sound effects and dialogue — press a button and hear hydraulic machinery sounds, guttural metal growls, “Warning, Throw Down Your Weapon, You Have 15 seconds to comply” and more! 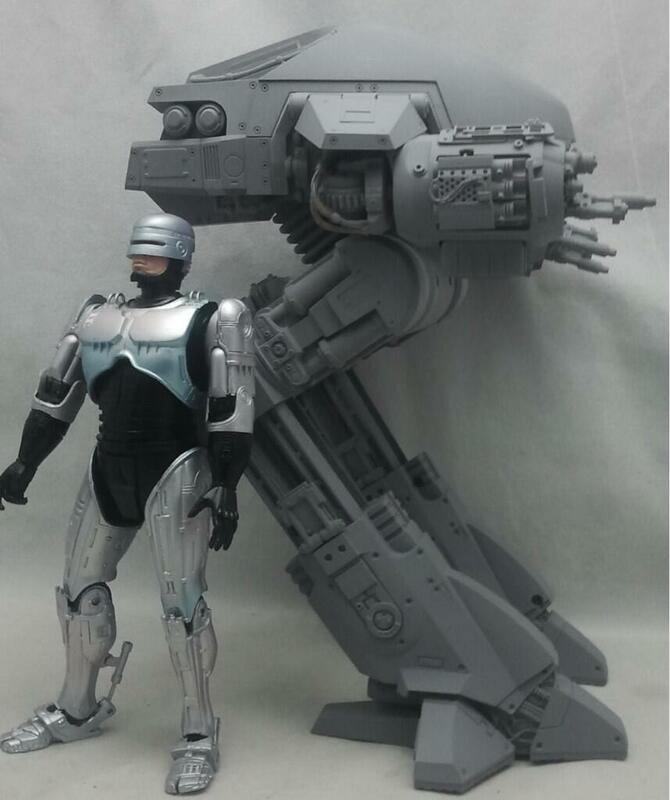 This is a massive figure and finally provides a worthy opponent for Robocop. Comes in deluxe closed box packaging featuring original illustrations and product photography highlighting key action features. Hope you caught that last part, because it’s important: NO RE-ORDERS. 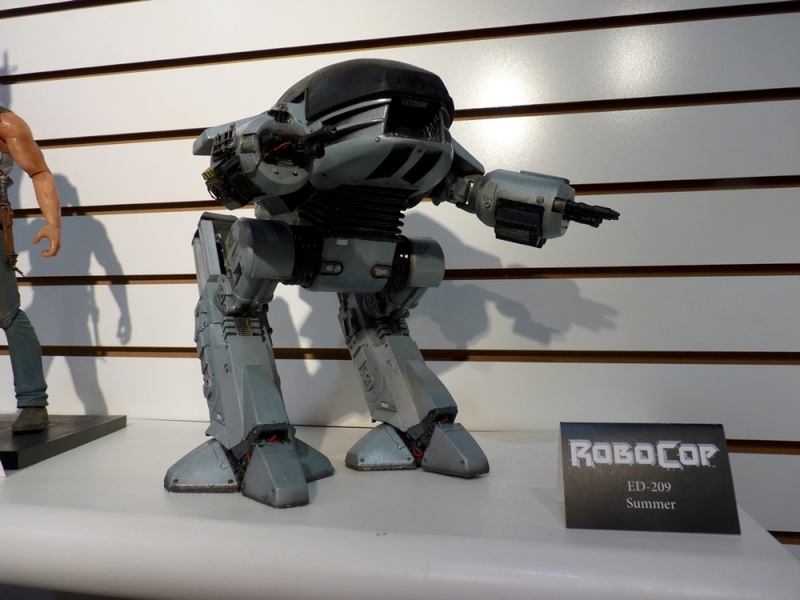 Once these ED-209 figures are gone, they’re gone. We’re only doing one run, and stores won’t be able to resupply once their first batch is gone, so if you want one, act fast. Keep up with the latest from NECA by following us on Twitter and Liking us on Facebook!